Talk to a lawyer for Free 24/7 (314) 361-4242 : With more than 20 years of experience and thousands of successful cases to his credit, Accident Lawyer Christopher Hoffmann focuses his practice exclusively on handling injury claims arising out of Vehicle Accidents in St. Louis, Missouri. An estimated 6 million Americans are involved in car accidents every year. Of these, 3 million are injured and 2 million experience permanent injuries. It is also estimated that 90 people die each day due to auto accidents. There are a number of factors that cause such accidents. However, a majority of them are due to alcohol, speeding, and distracted driving. Drunk driving is the cause of numerous car and truck accidents on Missouri and Illinois highways. In fact, approximately 40% of all driving fatalities are caused by drunk driving. Another cause of car accidents is speeding. While it may be obvious to you that the faster a car is moving the less time there is to react, many other drivers choose to ignore this fact. This coupled with the increased force a speeding car creates, results in injuries that are more severe than in other types of auto accidents. Distracted drivers can cause catastrophic and sometimes fatal injuries to others on the road. An estimated 9 people are killed every day due to distracted driving. Texting while driving is a type of distracted driving that has become a serious problem in recent years. When a person is texting they take their eyes off the road for an average of 5 seconds. If that same person is traveling at 55 mph, that is the equivalent of driving the length of a football field without looking up. The Hoffman Law Firm, L.L.C., is dedicated to getting the maximum compensation for injury victims in Missouri and Illinois. After a serious injury or the loss of a loved one in a car accident, you need to know that someone is on your side, protecting your rights and presenting an effective case to the insurance company. 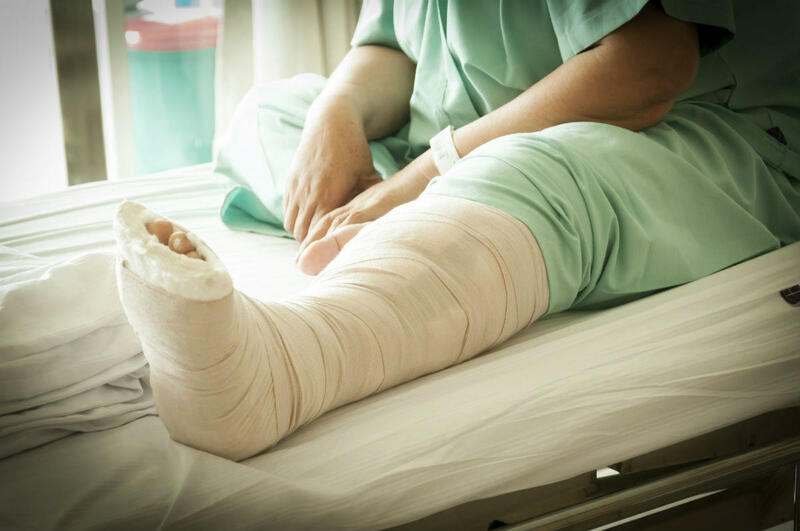 We will handle all of the legal details of your personal injury claim so that you can concentrate on your physical recovery. We have helped hundreds of injured people and their families deal with devastating physical injuries. If you were seriously injured in a car accident or other type of personal injury accident, contact us at (314) 361-4242 or toll-free (866) 763-6433. Your initial consultation is always free, and you never pay attorney fees unless we recover compensation for you.